Kh. Krista muses on Christmas, preparation, twinkly lights and priorities as we draw closer to Christmas day. 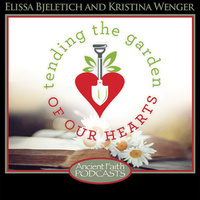 Just in time for their feast day, Elissa Bjeletich and Kristina Wenger explore the story of this righteous couple and the birth of their son, St. John the Forerunner.